I’m going to kick this off with a favorite, a monster white pepper broth. White pepper with jolts of ginger, and stabs of garlic. I like it just shy of scalding, racing down my throat, sweeping through my sinuses in one boisterous, fragrant swoop. Get the recipe here. A beautiful master broth from Rebecca. Get the recipe here. 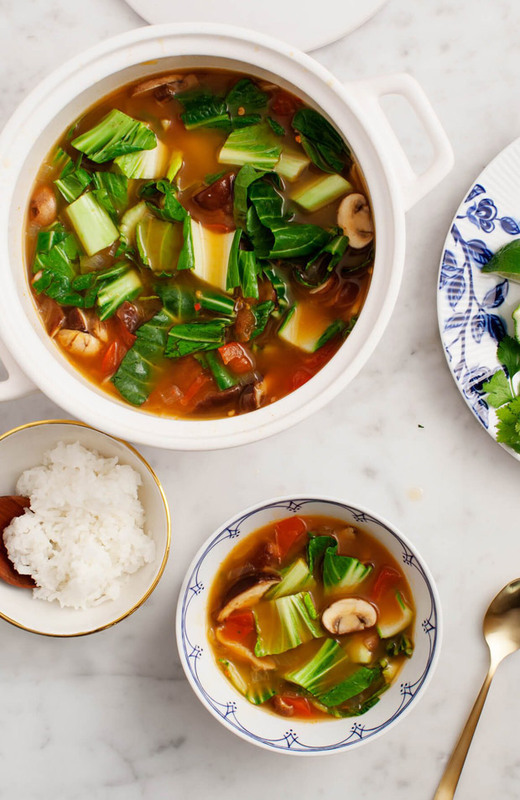 You can use this Instant Pot mushroom broth a thousand different ways. If you have dried porcini mushrooms, a few cloves of garlic, salt, pepper, and a bit of thyme, you’re in business. Get the recipe here. I love love love this concept. Sonja takes a traditional brothy Austrian alpine soup and updates it with this veg-friendly version. 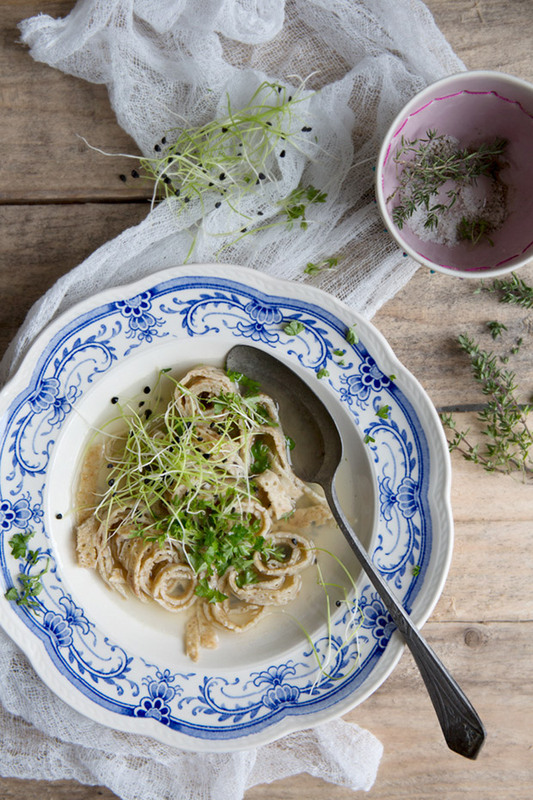 A beautiful homemade vegetable broth hosts a tangle of buckwheat pancake strips. Get the recipe here. I came across this broth when I was writing this blended soup round-up, and it inspired this follow up post. The one you’re reading. Andrea serendipitously comes across this broth after boiling vibrant dragon carrots (for a pie). The liquid remaining in the pot is what you see here. 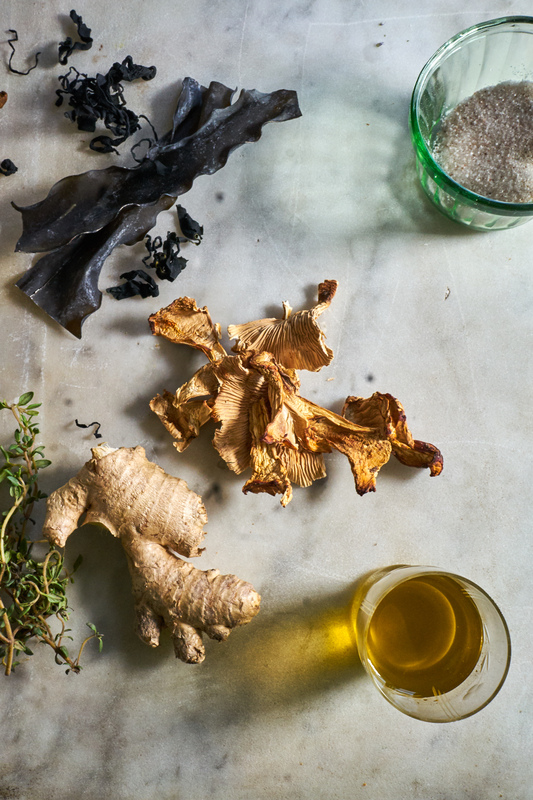 She brilliantly adds a bit of grated ginger, and magic happens – red dragon broth. More details here. 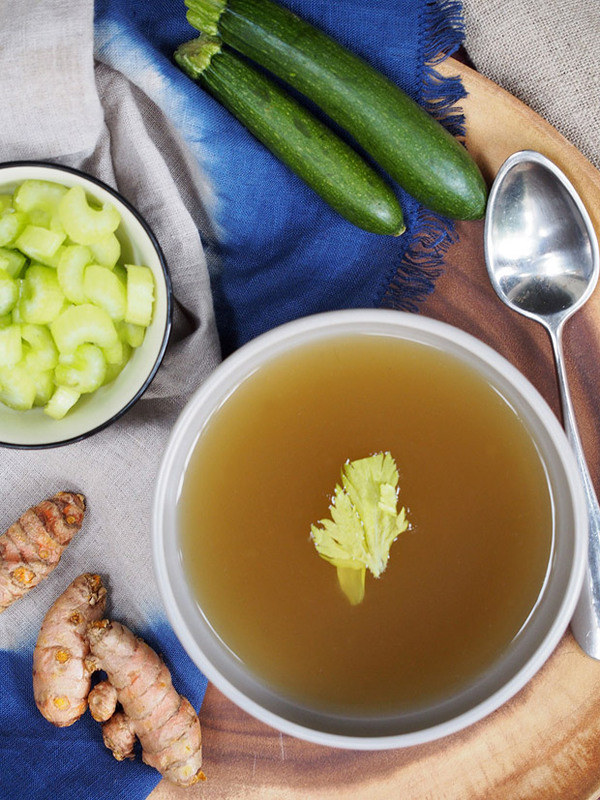 A beautiful, thin green curry broth, fragrant with garlic, lemongrass, and ginger. With heat from serrano chiles, and zings of tanginess on account of the fresh lime juice. Cumin and coriander seeds keep things grounded, and a flurry of freshly chopped herbs are there to make the sky open up. Get the recipe here. At first glance, you just know this is good. I use water in place of the vegetable stock called for, and adjust the amount of curry paste to my liking. Or, play around with a homemade curry paste here. Great jumping off point in general! Get the recipe here. 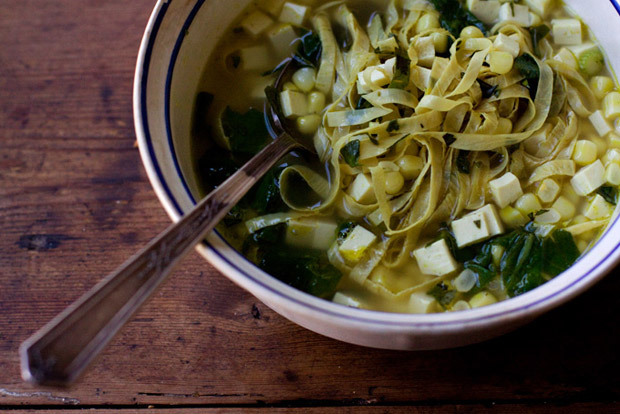 A vibrant, vegan alternative to all the bone broths out there. Keep all your vegetable trimmings throughout the week in a freezer bag, and make a big batch of this on a Sunday. 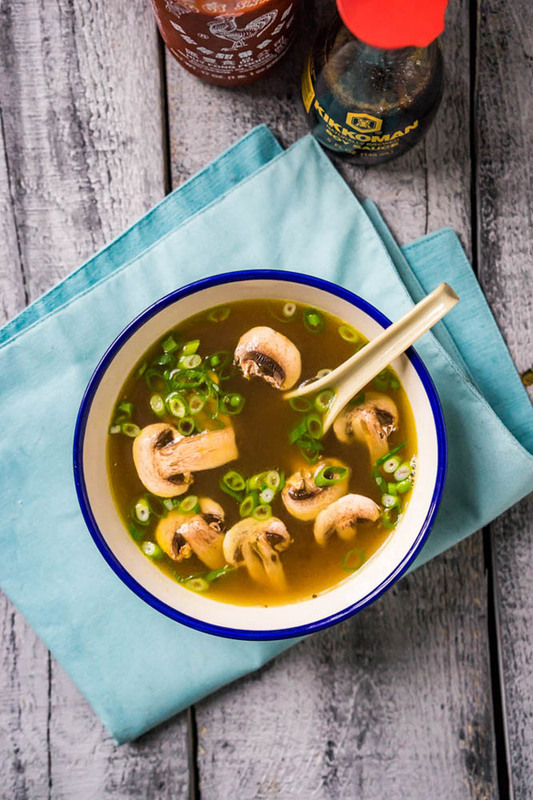 Love that Aimee’s broth is mushroom and seaweed boosted. Also(!) play around with the different dried mushrooms you use. 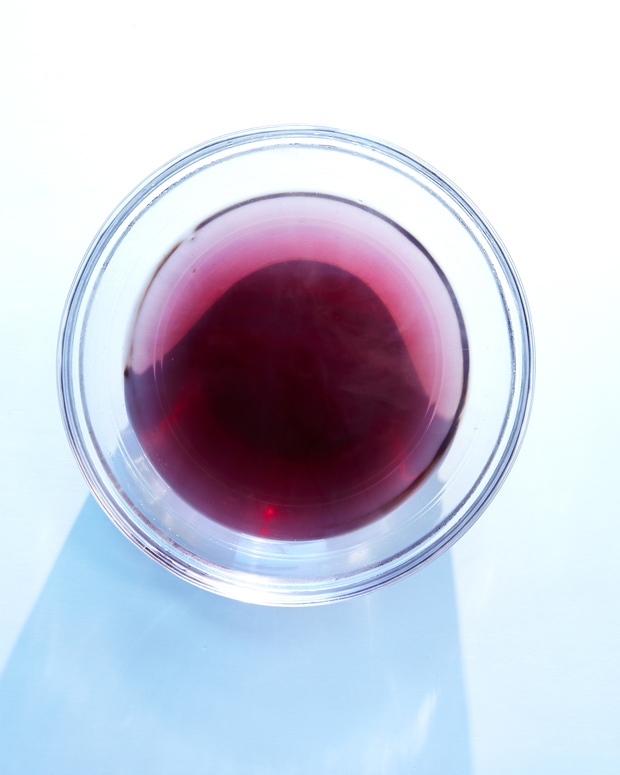 They all lend a very distinct flavor and nutrient profile (or create your own blend!) Get the recipe here. 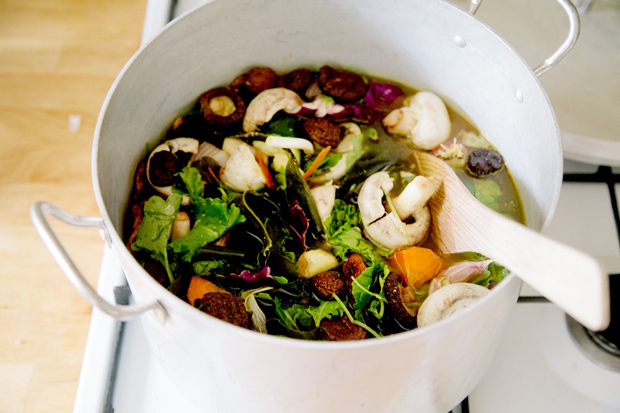 Ashley uses quite a long list of plants in this broth adding to its depth, and nutritional profile. Don’t skip the brightening squeeze of lemon (lime) when serving! Get the recipe here. A reminder of just how good a simple onion broth can be. Get the recipe here. 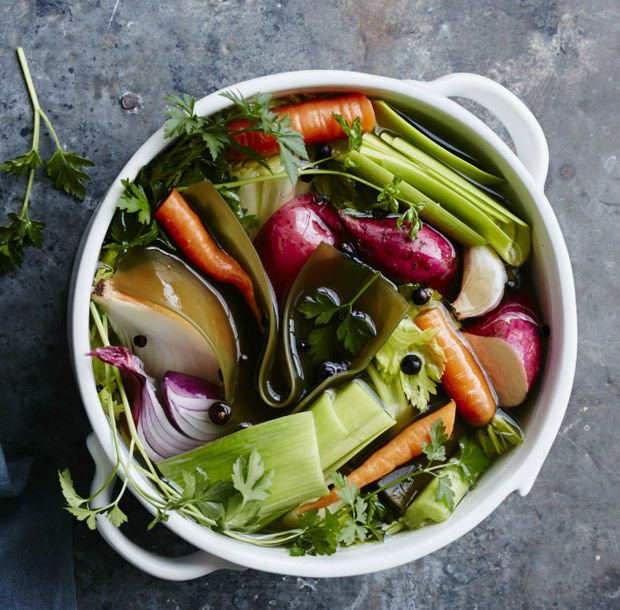 Bone broth is all the rage. But I don’t cook with bones, so I’m always trying to come up with nutrient-dense, mineral-rich broths that check all the beneficial boxes. This is a versatile go-to favorite. Get the recipe here.